1. CANCELLATION/REFUND/EXCHANGE ELIGIBILITY AND PROCEDURE User may request for a cancellation of Purchase(s) before shipment/delivery. Once shipped/delivered has been arranged, Purchase(s) will be subject to refund/exchange process rather than cancellation process, according to the refund/exchange policy’s terms and conditions of respective Merchant(s) of V-MORE. End-user may request for a cancellation of a confirmed Purchase(s) and/or an appointment for Purchase(s) adhering to the Cancellation terms and conditions of respective Merchant(s) of V-MORE. Any cost arising from Cancellation of confirmed Purchase(s) and/or an appointment for Purchase(s) shall be borne by the End-user. You understand and agree that should any cancellation of Purchase(s) before shipment/delivery, your credit/debit card and/or other payment provider account may already have been charged for the full amount, and that any refund/exchange will be made only in accordance with the applicable cancellation/refund/exchange policy’s terms and conditions of respective Merchant(s) of V-MORE. The Purchase(s) must be unused and in the same condition and packaging that you have received. It is very important that you confirm item you ordered has been received undamaged and is the correct item. Please examine all contents immediately upon receipt for any signs of damage, wrong item(s) or defective product(s). If items received by you are defective or damaged and you report the same within three (3) days of delivery, request for refund can be done according to the refund terms and conditions of respective Merchant(s) of V-MORE. However, any requests for exchange must be made within 3 working days from the date of collection. 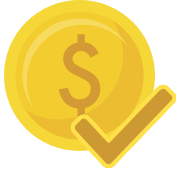 The End-user agrees that the request for any Refund/Exchange is subject to the Merchant’s approval. All refunds and exchanges are subject to a 5% administrative charge. Any charges, costs or expenses arising from refund and/or exchanging of confirmed Purchase(s) shall be borne by the End-user. Unless otherwise agreed at the sole discretion of the Merchant. Please note that all vouchers are valid for 30 days and there will be no refunds/exchanges after purchase, except for vouchers purchased for Getaways – refunds/exchanges are permitted if End-Users are not able to book the period for your Getaway, subject to the Merchant’s terms and conditions. 1. Account on the Platform. AIMSYSTEM MEMBERS (WHOM ARE ELIGIBLE) MAY HOLD ONE (1) ACCOUNT ON THE PLATFORM, THAT THEY ARE SOLELY RESPONSIBLE FOR MANAGING. Such account is non-transferrable and may not be sold. If you violate any of these terms, we may terminate your account and, without limitation, you may forfeit any amount credited or due to be credited to you under or in respect of your account. If we terminate your account, you may not re-enrol or join under a new account unless we formally approve this (including re-enrolling or joining with a different email address, different mobile telephone number or under a different name). If you commit fraud or falsify information in connection with your use of the Platform or in connection with your V-MORE account, your account will be terminated immediately and we reserve the right to hold you liable for any and all damages that we suffer, to pursue any action which is available to us (including the use of any available legal remedies) and to notify your Internet Service Provider of any fraudulent activity we associate with you or your use of the Platform. V-MORE’s proprietary platform allows Merchants to bid to perform services and sales of products to members of the public seeking such services (“End-Users”). The Purchases will be sold at a price offered by the Merchant and agreed to by the relevant End-User (the “Agreed Price”), utilising V-MORE’s proprietary technology. You should be aware, however, that although the Agreed Price is agreed between the Merchant and the End-User, the End-User and the Merchant do not have any direct contractual relationship. The End-User and V-MORE therefore enter into a contractual relationship for the performance of the relevant Purchases by the Merchant, subject to the conditions set out in these Terms and Conditions of Use, and the Agreed Price represents the amount which the End-User will pay V-MORE for the performance of Purchases by the Merchant. YOU ACKNOWLEDGE THAT V-MORE DOES NOT ITSELF PROVIDE ANY OF THE SERVICES OR FUNCTION AS AN AGENT OR FIDUCIARY OF ANY MERCHANT. WHILE V-MORE PROVIDES THE PLATFORM, WHICH ENABLES END-USERS TO ENGAGE MERCHANTS TO PERFORM SERVICES AND/OR SALES OF PRODUCTS AND WHILE PAYMENT FOR THE CONDUCT OF PURCHASES BY MERCHANTS IS MADE THROUGH V-MORE AS INTERMEDIARY, YOUR USE OF THE PLATFORM CONSTITUTES YOUR EXPRESS AGREEMENT THAT V-MORE HAS NO RESPONSIBILITY OR LIABILITY TO YOU FOR ANY PERSONAL INJURY, DAMAGE, LOSS OR COST WHICH IS RELATED TO OR WHICH ARISES FROM THE PERFORMANCE OF ANY PURCHASES AND OR SERVICES BY ANY MERCHANT. WHILE V-MORE UNDERTAKES A VERIFICATION PROCESS WITH MERCHANTS, WE DO NOT GUARANTEE THE SUITABILITY, SAFETY OR ABILITY OF MERCHANTS TO PROPERLY CONDUCT THE SERVICES THEY PURPORT TO BE ABLE TO CONDUCT. IT IS SOLELY YOUR RESPONSIBILITY TO DETERMINE IF A MERCHANT WILL MEET YOUR NEEDS AND EXPECTATIONS. BY USING THE PLATFORM, YOU ACKNOWLEDGE THAT YOU MAY BE EXPOSED TO SITUATIONS INVOLVING MERCHANTS THAT ARE POTENTIALLY UNSAFE, OFFENSIVE, HARMFUL TO MINORS, OR OTHERWISE OBJECTIONABLE AND THAT USE OF MERCHANTS ARRANGED OR SCHEDULED USING THE PLATFORM IS AT YOUR OWN RISK AND JUDGMENT. V-MORE SHALL NOT HAVE ANY LIABILITY ARISING FROM OR IN ANY WAY RELATED TO YOUR TRANSACTIONS OR RELATIONSHIP WITH MERCHANTS. YOU ALSO ACKNOWLEDGE THAT THE PROCESSING OF A PAYMENT AND BY US AND/OR THE ACKNOWLEDGEMENT OF AN ORDER FOR A PURCHASE BY US DOES NOT CONSTITUTE A LEGALLY BINDING CONTRACT. A LEGALLY BINDING CONTRACT BETWEEN YOU AND US COMES INTO EXISTENCE ONLY UPON THE COMPLETION OF A SERVICE REQUESTED BY YOU. IF YOU DO NOT AGREE TO THESE TERMS, YOU MUST IMMEDIATELY CEASE TO USE THE PLATFORM AND NOT PROCEED WITH ANY TRANSACTION (INCLUDING ENGAGING ANY MERCHANT TO PERFORM ANY SERVICES) THROUGH THE PLATFORM. if you are accessing the Platform in Singapore and/or are subject to the provisions of the Personal Data Protection Act 2012 (Act 26 of 2012) of Singapore (the “PDPA”), you agree that V-MORE is authorised to collect, use and/or disclose any personal data (as defined in the PDPA) concerning you which may be provided by you in accordance with the purposes set out in these Terms and Conditions of Use and consent to such collection, use and/or disclosure; and you are aware that calls to V-MORE’s customer service and live chat logs are recorded for training, quality and archival purposes and may be used as evidence in any dispute with you. You acknowledge and accept that there may be interruptions in service or events that are beyond our control. While we use reasonable efforts to keep the Platform accessible, the Platform may be unavailable from time to time for any reason including, without limitation, routine maintenance or upgrading. You understand and acknowledge that due to circumstances both within and outside of our control, access to the Platform may be interrupted, suspended or terminated at any time, without prior notice to you. We retain the right, at our sole discretion, to deny service or access to the Platform to anyone or any account, at any time and for any reason as we may in our discretion deem to be appropriate. We reserve complete and sole discretion with respect to the operation of Platform. This means that we may, amongst other things: •	delete any email or private message if it has not been accessed by an End-User within the time established by our policies in force from time to time; •	make available to third parties information relating to the Platform and End-Users; •	withdraw, suspend or discontinue any functionality or feature of Platform; review forums, user comments and chats and authorise restrictions or prohibitions on access thereto; and •	suspend or terminate your account on the Platform if we in our sole discretion determine this to be appropriate. V-MORE grants End-Users and Merchants a revocable licence to use the Platform, and does not sell or otherwise grant to End-Users the right to use the Platform. As such, continued use by End-Users and Merchants of the Platform is always subject to V-MORE’s approval. The content and information on the Platform, as well as the infrastructure supporting the Platform, and all materials therein or transferred thereby and all intellectual property rights related thereto, are the exclusive property of V-MORE. Except as explicitly provided herein, nothing in these Terms and Conditions of Use shall be deemed to create a licence in or under any such intellectual property rights and you agree not to modify, adapt, edit, copy, distribute, transmit, display, perform, reproduce, publish, license, create derivative works from, transfer, or sell or re-sell any information, software, products or services obtained from or through the Platform. Because we do not control the security of the Internet or other networks you use to access the Platform or communicate with us, we can’t be, and are not responsible for, the security of information that you choose to communicate with V-MORE and the Platform while it is being transmitted. In addition, V-MORE is not responsible for any data lost during transmission. aggregating any live or post-feature content or other information from the Platform (whether using links or other technical means or physical records associated with purchases made through the Platform) with material from other sites or on a secondary site without our express written permission. engaging in any other activity deemed by us to be in conflict with the spirit or intent of these Terms and Conditions of Use. We do not control information provided or posted by End-Users and Merchants. You may find other End-Users’ and Merchants’ information to be inaccurate, harmful or offensive. By making the Purchases you assume all of the risks associated with the use of the Platform and the Merchants and you agree to accept such risks and agree that V-MORE is not responsible for the acts or omissions of any End-User or Merchant. Notwithstanding the foregoing, we reserve the right to edit or remove any content placed on the Platform, including any material, comments or reviews which we consider in our sole discretion to be harmful, offensive, deceptive and/or unlawful. We may charge a user’s credit/debit card, PayPal account or other payment processing method for confirmed bookings of Services and/or Purchases purchased through the Platform immediately upon an End-User’s acceptance of a Merchant’s offer for the performance of a particular Purchases. The amount charged will be equal to the Agreed Price. However, a legally binding contract does not come into existence between an End-User and V-MORE until the Service which is requested is completed. User may request for a cancellation of Purchase(s) before shipment/delivery. Once shipped/delivered has been arranged, Purchase(s) will be subject to refund/exchange process rather than cancellation process according to the refund/exchange policy’s terms and conditions of respective Merchant(s) of V-MORE. 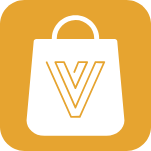 Please refer to “V-MORE’S CANCELLATION/REFUND/EXCHANGE POLICY” for the Terms and conditions of V-MORE’s cancellation and/or refund and/or exchange of the Purchases. V-MORE is not responsible for (i) any price adjustments made by a Merchant related to a Purchases or appointment time (although these must be agreed between the relevant Merchant and End-User through the Platform), or (ii) any claims for injuries, illnesses, damages, liabilities and costs (“Liabilities“) that any Merchant or End-User may suffer, directly or indirectly, in full or in part, whether related to the performance of any of the Services (or non-performance of any of any Services which have been agreed to have been performed) or otherwise. To the fullest extent permitted by law, you agree to and hereby waive and release V-MORE and its holding company(ies), subsidiaries, associated companies or organisations (whether incorporated or not), affiliates partners, officers, directors, staff members, shareholders and agents from any liabilities arising from or related to (i) any act or omission by a Merchant in the provision of any Services, including a Merchant’s failure to comply with applicable law and/or failure to abide by the agreed terms of any Purchases, and/or (ii) any action or inaction by a Merchant and/or (iii) any indirect, special, punitive, consequential, (including, lost profits or lost data collected through the Platform or by a Merchant), or incidental damages, whether based on a claim or action of contract, warranty, negligence, strict liability, or other tort, breach of any statutory duty, indemnity or contribution, or otherwise, even if V-MORE has been advised of the possibility of such damages. IN NO EVENT WILL V-MORE’s LIABILITY ARISING OUT OF OR RELATED TO THESE TERMS AND CONDITIONS OF USE, OR IN RESPECT OF THE PROVISION (OR NON-PROVISION) OF ANY SERVICE CONTRACTED TO BE PERFORMED BY A MERCHANT EXCEED THE AGREED PRICE IN RESPECT OF ANY PARTICULAR SERVICE OR FIVE HUNDRED SINGAPORE DOLLARS (OR ITS EQUIVALENT IN YOUR LOCAL CURRENCY), WHICHEVER IS LOWER. TO THE MAXIMUM EXTENT PERMITTED BY APPLICABLE LAW, V-MORE ASSUMES NO LIABILITY OR RESPONSIBILITY FOR ANY (I) ERRORS, MISTAKES, OR INACCURACIES OF CONTENT; (II) PERSONAL INJURY OR PROPERTY DAMAGE, OF ANY NATURE WHATSOEVER, RESULTING FROM YOUR ACCESS TO THE PLATFORM OR USE OF OUR SERVICE; (III) ANY UNAUTHORISED ACCESS TO OR USE OF OUR SERVERS AND/OR ANY AND ALL PERSONAL INFORMATION STORED THEREIN; (IV) ANY INTERRUPTION OR CESSATION OF TRANSMISSION TO OR FROM THE PLATFORM; (V) ANY BUGS, VIRUSES, TROJAN HORSES, OR THE LIKE THAT MAY BE TRANSMITTED TO OR THROUGH THE PLATFORM BY ANY PERSON; (VI) ANY ERRORS OR OMISSIONS IN ANY CONTENT OR FOR ANY LOSS OR DAMAGE INCURRED AS A RESULT OF THE USE OF ANY CONTENT POSTED, EMAILED, TRANSMITTED, OR OTHERWISE MADE AVAILABLE THROUGH THE PLATFORM; AND/OR (VII) USER CONTENT OR THE DEFAMATORY, OFFENSIVE, INAPPROPRIATE OR ILLEGAL CONDUCT OF ANY THIRD PARTY. THE FOREGOING LIMITATION OF LIABILITY SHALL APPLY TO THE FULLEST EXTENT PERMITTED BY LAW IN THE APPLICABLE JURISDICTION IN WHICH YOU ARE LOCATED OR IN WHICH YOU ARE ACCESSING THE PLATFORM. We don’t have control over websites that V-MORE may link to. V-MORE may contain links to third party websites that are not owned, operated, or controlled by V-MORE. Therefore, we cannot and do not assume responsibility for the content, privacy policies, or practices of such websites or the companies that own them. Additionally, we cannot and will not censor or edit the content of any third-party site. By using V-MORE you expressly relieve us from any and all liability arising from your use of any third-party website. Everything located on or in the Platform is the exclusive property of V-MORE or is being used with permission. Any copying, distributing, transmitting, posting, linking, deep linking, or otherwise modifying of the Platform or microsites within the Platform without our express written permission is prohibited. Any violation of this requirement may result in a copyright, trade mark or other intellectual property right infringement that may subject you to civil and/or criminal penalties. The Platform and any microsite within the Platform contains copyrighted material, trademarks and other proprietary information, including, but not limited to, text, software, photos, video, graphics, music and sound, and the entire contents of the Platform are protected by copyright. V-MORE owns a copyright in the selection, coordination, arrangement and enhancement of such content, as well as in the content original to it. You may not modify, publish, transmit, participate in the transfer or sale, create derivative works, or in any way exploit any of the content, in whole or in part. You may download, print, and/or save copyrighted material for your personal use only. Except as otherwise expressly stated under copyright law, no copying, redistribution, retransmission, publication or commercial exploitation of downloaded material without the express permission of V-MORE or the copyright owner is permitted. If copying, redistribution or publication of copyrighted material is permitted, you will make independent attribution and/or agree to make no changes in or deletion of any author attribution, trade mark legend or copyright notice. You acknowledge that you do not acquire any ownership rights by downloading copyrighted material. The mark “V-MORE” is a trade mark of NobleInfotech Applications. It, together with other trademarks that are located within or on the Platform otherwise owned or operated in conjunction with V-MORE shall not be deemed to be in the public domain but rather the exclusive property of V-MORE, unless such mark or site is under licence from the trade mark owner thereof, in which case such license is for the exclusive benefit and use of V-MORE unless otherwise stated. You will not upload, post or otherwise make available on the Platform any material protected by copyright, trade mark or other proprietary right without the express permission of the owner of the copyright, trade mark or other proprietary right. V-MORE does not have any express burden or responsibility to provide you with indications, markings or anything else that may aid you in determining whether the material in question is copyrighted or trademarked. You will be solely liable for any damage resulting from any infringement of copyrights, trademarks, proprietary rights or any other harm resulting from such a submission. By submitting material to any public area of the Platform, you warrant that the owner of such material has expressly granted V-MORE a royalty-free, perpetual, irrevocable, non-exclusive right and license to use, reproduce, modify, adapt, publish, translate and distribute such material (in whole or in part) worldwide and/or to incorporate it in other works in any form, media or technology now known or hereafter developed for the full term of any copyright that may exist in such material. You also permit any other End-Users to access, view, store or reproduce the material for that End-User’s personal use. You also grant V-MORE the right to edit, copy, publish and distribute any material that you make available on the Platform. a statement by you that the above information in your notice is accurate and that you are the copyright owner or authorised to act on the copyright owner’s behalf. Contact information for V-MORE’s claims of copyright infringement is: contact@vmoreasia.com IF YOU KNOWINGLY MISREPRESENT THAT ONLINE MATERIAL IS INFRINGING, YOU MAY BE SUBJECT TO CRIMINAL PROSECUTION FOR PERJURY AND CIVIL PENALTIES, INCLUDING MONETARY DAMAGES, COURT COSTS, AND ATTORNEYS’ AGREED PRICE. Please note that this procedure is exclusively for notifying V-MORE and its affiliates that your copyrighted material has been infringed. V-MORE has adopted a policy of terminating, in appropriate circumstances, users of the Platform who are deemed to be repeat infringers. V-MORE may also at its sole discretion limit access to the Platform and/or terminate the accounts of any user of the Platform who infringes any intellectual property rights of others, whether or not there is any repeat infringement. You expressly agree that use of the Platform is at your own risk. TO THE MAXIMUM EXTENT PERMITTED BY APPLICABLE LAW, YOU AGREE THAT THE SERVICES PROVIDED ON AND THROUGH THE PLATFORM ARE PROVIDED WITHOUT WARRANTIES OF ANY KIND, WHETHER EXPRESS OR IMPLIED, INCLUDING, BUT NOT LIMITED TO, IMPLIED WARRANTIES OF MERCHANTABILITY, FITNESS FOR A PARTICULAR PURPOSE, OR NON-INFRINGEMENT. Without limiting the foregoing, neither V-MORE, its subsidiaries, affiliates or any of their respective staff members, agents, merchants, third-party content providers or licensors, or any of their officers, directors, staff members or agents, warrant that use of the Platform will be uninterrupted or error free; nor do they make any warranty as to (a) the results that may be obtained from use of the Platform, or (b) the accuracy, reliability or content of any information or any Purchases provided or contract through this site. The Platform is made accessible on an “as is” and “as available” basis. V-MORE hereby disclaims any representations, warranties and conditions, whether express or implied, including those to title non-infringement, merchantability, and fitness for a particular purpose. V-MORE DOES NOT WARRANT, ENDORSE, GUARANTEE, OR ASSUME RESPONSIBILITY FOR ANY PRODUCT OR SERVICE ADVERTISED OR OFFERED BY A NON-MERCHANT THIRD PARTY THROUGH THE PLATFORM OR ANY HYPERLINKED WEBSITE OR SERVICE, AND V-MORE WILL NOT BE A PARTY TO OR IN ANY WAY MONITOR ANY TRANSACTION BETWEEN YOU AND NON-MERCHANT THIRD-PARTY PROVIDERS OF SERVICES. The information presented or contained in the Platform is presented for informational purposes only. No information, whether oral or written, obtained by an End-User from a Merchant, or by a Merchant from an End-User, or in relation to any Service will create any warranty not expressly stated in this agreement. other than pursuant to the Guarantee and the Warranty, V-MORE does not guarantee any price or Purchases offered by a merchant. V-MORE makes no representations that the Platform is appropriate or available for use in jurisdictions other than the locations in which the Purchases are offered. Those who access or use the Platform from other jurisdictions do so at their own volition and are responsible for compliance with local laws. You may choose to or we may invite you to submit comments or ideas about any Services received by you or relating to the Platform, including without limitation about how to improve the Services you received or the Platform (“Ideas”). By submitting any Idea, you agree that your disclosure is gratuitous, unsolicited and without restriction and will not place V-MORE under any fiduciary or other obligation, and that we are free to use the Idea without any additional compensation to you, and/or to disclose the Idea on a non-confidential basis or otherwise to anyone. You further acknowledge that, by acceptance of your submission, V-MORE does not waive any rights to use similar or related ideas previously known to V-MORE, or developed by its staff members, or obtained from sources other than you. By posting Statements or other information on or through the Communities, you grant V-MORE a royalty-free, perpetual, irrevocable, non-exclusive license to use, reproduce, modify, summarise, publish, edit, translate, distribute, perform, and display the Statements alone or as part of other works in any form, media, or technology whether now known or hereafter developed without territorial or time limitations, and to sub-license such rights through multiple tiers of sub-licensees. Your license of any Statements or information submitted above extends to use for promotions, advertising, market research or any other lawful purpose, without limitation. You agree to defend, indemnify and hold harmless V-MORE and its subsidiaries, agents, licensors, managers, and other affiliated companies, and their staff members, contractors, agents, officers and directors, from and against any and all claims, damages, obligations, losses, liabilities, costs or debt, and expenses (including but not limited to solicitors’ fees on a full indemnity basis) arising out of or related to: (a) your use of the Platform and any Purchases, including any data or content transmitted or received by you; (b) your violation of any term of these Terms and Conditions of Use, including without limitation your breach of any of the representations and warranties above; (c) your violation of any third-party right, including without limitation any right of privacy or intellectual property rights of any person; (d) your violation of any applicable law, rule or regulation; (e) user content or any other information or content that is submitted through your account including (without limitation) misleading, false or inaccurate information; (f) negligent or wilful misconduct; or (g) any other party’s access and use of the Platform with your unique username, password or other appropriate security code. V-MORE may terminate these Terms and Conditions of Use at any time, or suspend access to the Platform immediately, without prior notice or liability, for any reason (including if you breach any terms of these Terms and Conditions of Use). Without limiting the foregoing, V-MORE shall have the right to immediately terminate or suspend any of your passwords or your account in the event V-MORE considers, in its sole discretion, any of your conduct to be unacceptable, or in the event you breach these Terms and Conditions of Use. Notwithstanding the above, these Terms and Conditions of Use will survive termination of these Terms and Conditions of Use. No waiver by either you or V-MORE of any breach or default or failure to exercise any right allowed under these Terms and Conditions of Use is a waiver of any preceding or subsequent breach or default or a waiver or forfeiture of any similar or future rights under these Terms and Conditions of Use. The clause headings used herein are for convenience only. If any provision of these Terms and Conditions of Use is held invalid by a court of competent jurisdiction, such invalidity shall not affect the enforceability of any other provisions contained in these Terms and Conditions of Use, and the remaining portions of these Terms and Conditions of Use shall continue in full force and effect. In accordance with the Contracts (Rights of Third Parties) Act, Chapter 53B of Singapore, you agree that these Terms and Conditions of Use apply equally to and are for the benefit of V-MORE and its holding company(ies), subsidiaries, associated companies or organisations (whether incorporated or not), affiliates partners, officers, directors, staff members, shareholders and agents, and each shall have the right to assert and enforce such provisions directly or on its own behalf. The failure of either party to exercise in any respect any right provided in these Terms and Conditions of Use will not be deemed a waiver of such rights. If any provision of these Terms and Conditions of Use is found to be unenforceable or invalid, that provision will be limited or eliminated to the minimum extent necessary so that these Terms and Conditions of Use shall otherwise remain in full force and effect and enforceable. These Terms and Conditions of Use, and any rights and licenses granted hereunder, or any obligations in respect of them, are not assignable, transferable or sub-licensable by you except with V-MORE’s prior written consent, but may be assigned and/or transferred and/or licensed by V-MORE without restriction and you hereby give your irrevocable consent to such assignment and/or transfer and/or licence or sub-license by V-MORE. Any attempted transfer or assignment in violation hereof shall be null and void. BY ACCESSING THE PLATFORM, YOU UNDERSTAND, ACKNOWLEDGE AND AGREE THAT YOU WILL ABIDE BY THE TERMS OF THIS AGREEMENT. IF YOU DO NOT AGREE TO THE TERMS OF THIS AGREEMENT, IMMEDIATELY STOP ACCESSING THE SITE AND DO NOT USE ANY V-MORE SERVICE OFFERED THROUGH THE SITE.